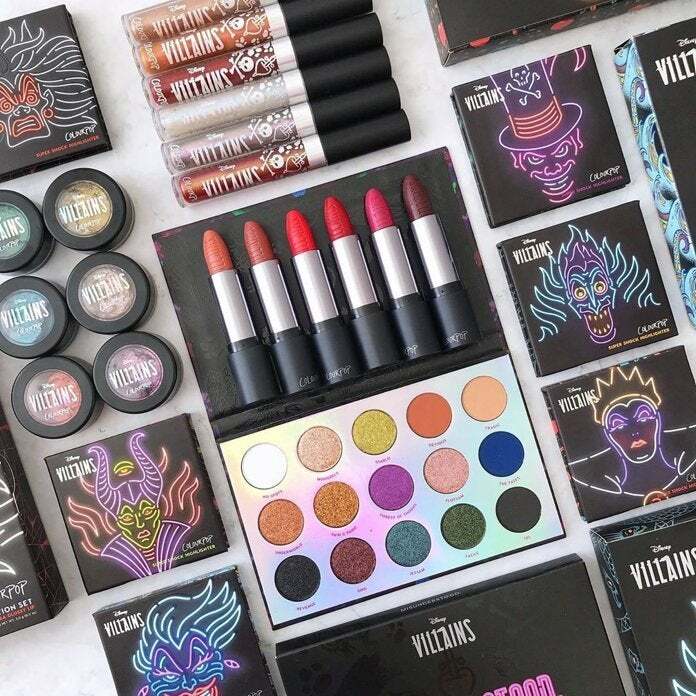 ColourPop has finally launched their highly anticipated Disney Villains makeup collection, and it appears to be everything a stylish evildoer could have hoped for. The collection includes lipstick, eye shadow, jelly shadows, highlighter, lip gloss, glitter pastes, and more for six of our favorite villains: Ursula, Maleficent, Cruella de Vil, Dr. Facilier, Hades, and the Evil Queen. At the time of writing, you can shop the Disney Villains collection directly though ColourPop (free shipping on orders over $30), Ulta (free shipping on orders over $50), and shopDisney (free shipping on orders over $75 with the code SHIPMAGIC). You can purchase items from the collection individually, or you can grab sets for each of the villains. If you're all in on it, you can go big with the Disney Villains Collection ($200) or even bigger with the Disney Villains PR Collection ($249). The $200 Disney Villains Collection includes "the Misunderstood Palette, 2 Glitterally Obsessed, and each of the 6 Villains’ signature shades in Super Shock Highlighter, Jelly Much Shadow, Lux Lipstick, and Ultra Glossy Lips." The $249 PR Collection adds a limited edition box if you care about that sort of thing. Either way, you're getting it all (and that's what every good Disney villain wants). Actually, all of the items in the Disney Villains ColourPop collection are limited editions, so get your order in while you can. Odds are they will sell out quickly. 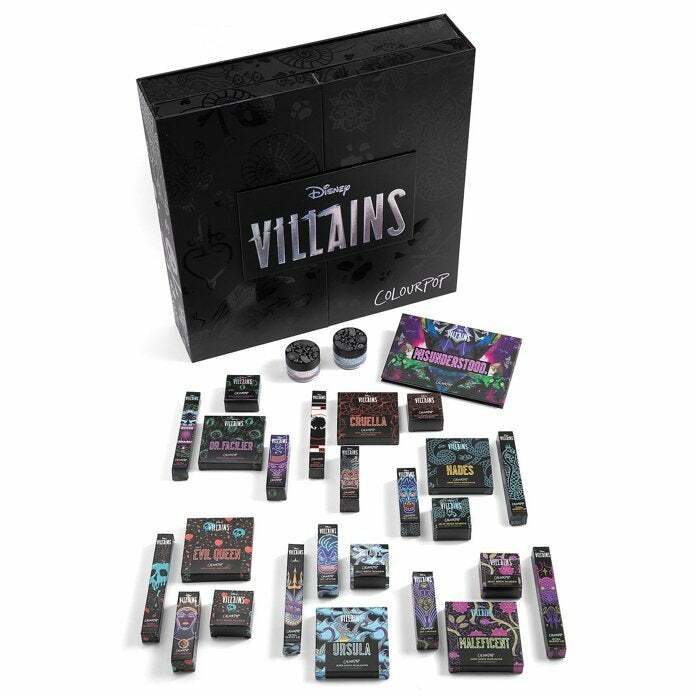 Note that the Villains collection follows a princess-themed Disney Designer Collection that ColourPop released last year. You can shop those items right here and match your makeup to the days you feel like a Disney Princess, and the days you feel like an Evil Queen.